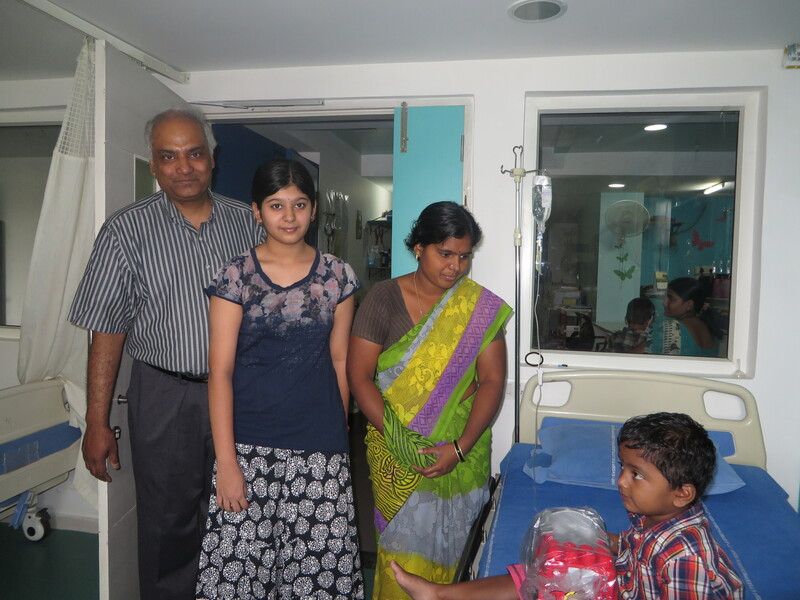 Clinic at CTBD (Centre for Thalassemia and Blood Disorders), Banjara Hills, Hyderabad. We conducted a free clinic for thalassemia community on 26th june at CTBD in association with Tapadia diagnostics. 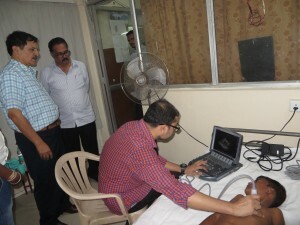 The clinic was attended by 8 patients. Dr Ramana Dandamudi Dr. Nitin Krishna Rao, Dr.Murtaza Kamal , Dr Gayathri, Dr Saifulla , Mrs Jaya nagabhushanam, Mrs Supriya, Mrs Bharathi, Miss Rani and Mr Hemanth participated and patients got guidance on drug administration, Cardio care, Diet, Transfusion protocol etc. 2D echo was done for all the patients as they are multi transfused and have iron overload. We thank all the Doctors, Volunteers and Lifeline Tapadia staff for their continuous support. 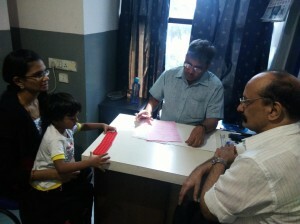 CCF organized a medical checkup for Thalassemia children at Redcross Society, Vidya Nagar on 13th of June. 11 children along with parents attended the clinic and got medical checkup done by Doctors. 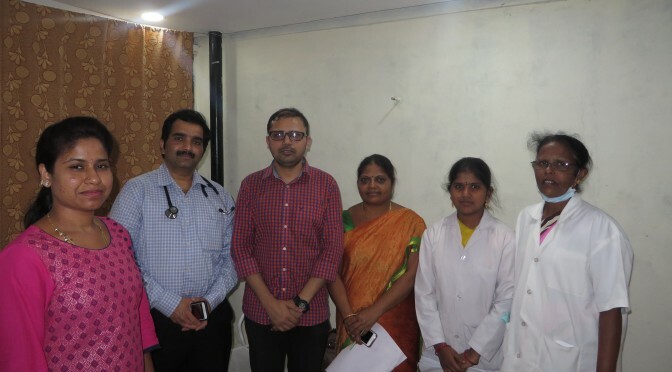 Dr Ramana Dandamudi (Pediatric Hematology), Dr Pitchi Reddy , Dr Nitin Krishna Rao ( Pediatric Cardiology), Dr Murtaza Kamal , Mrs Jaya Nagabhushanam, Mr Hemanth, Mrs Martha and Mrs Supriya participated in the clinic and gave guidance on management of Thalassemia. 2D echo was done for all the patients as part of the medical checkup. We thank Redcross Society ,Vidya Nagar and all the volunteers for supporting us. 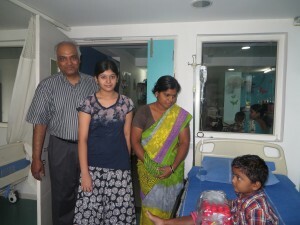 Miss Sravani Nori from BRHS club visited CCF and met our patients on 22nd of May. They donated toys for all age groups and children felt very happy to play with new toys. We thank all members of the club for their time and thoughtful gifts. Monthly CCF clinic for Thalassemia community was organized on 29th May 2018 at Centre for Thalassemia and Blood Disorders. Dr Ramana Dandamudi, Dr Saifulla, Mrs Jaya, Ms Rani, Mrs Bharathi participated and guided the patients on management of Thalassemia. 11 children and families attended the clinic and were given guidance. We thank all the volunteers and CTBD for helping in smooth conduct of the clinic.